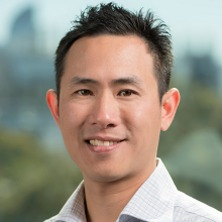 Dr Meng-Wong Taing (Wong) graduated from the University of Queensland with a Bachelor of Pharmacy (with Honours Class 1) in 2002, Graduate Certificate in Technology Innovation Management in 2012, and a PhD in Pharmacy in 2013. After completion of his PhD he worked as a Post-Doctoral Researcher at the Translation Research Institute (TRI) investigating novel drug candidates for the treatment of Type 2 Diabetes and Obesity. In 2014, Wong joined the School of Pharmacy as a Lecturer and was awarded the Dean’s commendation for Research Higher Degree Excellence. Wong's current research themes have a strong commitment in facilitating extended roles for pharmacists and other health care providers to improve patient outcomes. He is particularly interested in further developing evidence for pharmacists working in collaborative oral healthcare models in Australia. Wong is also completing his Masters in Biostatistics through the Biostatistics Collaboration of Australia. Suited to students interested in a career within pharmacy practice/primary healthcare research. There is a need for new and expanded pharmacy professional services within communities, as supported by Governmental healthcare agreements and professional bodies. This project will predominatnely utilise mixed quantitative and qualitative methods, and will be undertaken in collaboration with the School of Dentistry. Contact m.taing@uq.edu.au for more information. Assessing community pharmacists knowledge of popular herbal/nutrient weight-loss medications. APSA 2016 Conference.